August 23, 2017 August 31, 2017 by Sally Ride Science . Posted in " Tam on STEAM: " . Tags " Elissa Epel, Elizabeth Blackburn, STEM, telomeres, UC San Francisco " . Elissa Epel, a professor of psychiatry at UC San Francisco, studies how stress affects the body. There’s no shortage of advice out there about what makes a healthy lifestyle. Get regular exercise. Reduce stress. Eat whole foods. It all sounds good, but the advice is easy to ignore when you are tired or anxious or craving a donut. But what if you could envision exactly what your healthy habits—or unhealthy ones—are doing to the cells in your body? The Telomere Effect (Grand Central Publishing, 2017), a bestselling book by Dr. Elizabeth Blackburn and Dr. Elissa Epel, allows readers to do just that. In a recent interview, Epel talked about her collaboration with Blackburn, a biologist who won a Nobel Prize for her groundbreaking research on telomeres (TEE-luh-meers). Telomeres are tiny protective caps on the ends of our chromosomes that play a key role in aging and disease. Starting as a post-doctoral researcher at UC San Francisco, Epel worked with Blackburn to investigate how people’s mental states affect their telomeres. After years of research, the two decided to write a book together to share the latest discoveries about telomeres and health with nonscientific readers. The result is The Telomere Effect: A Revolutionary Approach to Living Younger, Healthier, Longer. Telomeres play a crucial role in shielding our DNA from damage. Each time a cell divides, the telomeres protecting its genetic material shorten. When telomeres get too short, cells die and people age. This process helps bring on many of the diseases linked to aging. Not everyone ages at the same rate, though. “Why are some people whip smart and energetic into old age, while other people, much younger, are sick, exhausted, and foggy?” the authors ask. A key to this difference lies in the telomeres. It turns out that psychological stress and certain lifestyle factors take a toll on telomeres, causing them to shorten before their time. But other behaviors can safeguard telomeres, maintaining their length or even allowing them to grow longer. In The Telomere Effect, Epel and Blackburn sum up what scientists know about the factors that affect telomere length. They hope this information will motivate readers to change their habits. The goal is a longer “healthspan”—the portion of life spent in good health. Many of the book’s chapters end in Renewal Labs, activities aimed at helping readers put the advice into practice. Epel was drawn to science even as a young child. Her father was a marine biologist and a professor at Stanford University. “We were always spending time by the ocean and being exposed to science,” she said. The family lived in La Jolla and Carmel, California, and spent summers near Woods Hole Oceanographic Institute in Massachusetts. Epel thought she might become a medical doctor. She started at the Claremont Colleges in Southern California and then switched to Stanford. There, while completing a degree in psychology, she got a chance to try her hand at research. As Epel went through school, she became more and more fascinated by the connection between the mind and body. She got a B.A. from Stanford in 1990 and moved on to Yale University, where she earned a PhD in clinical and health psychology in 1998. Epel was interested in exploring what stress does to telomeres. She and another post-doctoral researcher, Jue Lin, began working with Blackburn in 2000. “The three of us worked together for 15 years and did all sorts of studies, as well as collaborating with other scientists,” Epel said. “We have complementary areas of expertise,” she explained. Blackburn “has done the basic scientific research on how telomerase and telomeres work in single-celled organisms.” Epel brought expertise in how behavioral and psychological stress affect the body. Lin developed sensitive methods that worked on human cells to measure cell aging under different circumstances. She now runs a measurement center at UC San Francisco that supports studies around the world. Epel continued her research as she joined the faculty at UC San Francisco and became a professor. She is now director of the university’s Aging, Metabolism, and Emotions Center and associate director of the Center for Health and Community. She is a member of the National Academy of Medicine, and she received an Early Career Award from the American Psychological Association, among other honors. Before getting to work on The Telomere Effect, Epel had other offers to write books about her research on stress. But she wasn’t sure she had something truly new to say. Then a literary agent, Doug Abrams, heard her give a presentation and suggested a book for general readers about the science of aging in relation to human experiences. That made sense to Epel. “The idea of really being able to describe the interesting science of cell aging and how it affects us in our everyday lives sounded like a worthwhile challenge,” she said. In The Telomere Effect, Epel and Blackburn trace various strands of research on how our mental states and lifestyles affect our telomeres. Perhaps the most striking finding is how dramatically psychological stress alters the telomeres. In their first study together, Epel, Blackburn, and Lin looked at a population under severe stress—mothers caring for chronically ill children. The impact was clear: “The longer a mother had been looking after her sick child, the shorter her telomeres.” That pattern was borne out in other studies. But it’s not just the amount of stress people experience that matters. It’s how they handle that stress. Those who worry about stressful events beforehand and ruminate about them afterward suffer the most telomere shortening. People who approach stressful events in a positive way, as challenges to be overcome, fare better. Telomeres “may be stabilized or even lengthened by practicing habits that promote stress resiliency,” the authors write. Among these habits are optimism, mindfulness, and self-compassion. The book also looks at the impact of physical activity—or lack of it—on the telomeres. The bottom line is that moderate aerobic exercise on a regular basis helps maintain telomeres. What about diet? The research on telomeres supports the recommendations of many nutritionists. “Eat plenty of fruits, vegetables, whole grains, beans, legumes, nuts and seeds, along with low-fat, high-quality sources of protein,” Epel and Blackburn conclude. The Telomere Effect also looks at the bigger picture—how the environments we live in affect our telomeres. Research shows people who live in supportive communities and places with lots of greenery tend to have longer telomeres. But people who face racial discrimination or live in places where they feel threatened or isolated suffer damage at the cellular level, in the form of shorter telomeres. Epel and Blackburn end their book with a call to use what we know about telomeres and health to improve our communities. See TELOMERE TIPS (below) for a summary of ways to protect telomeres. 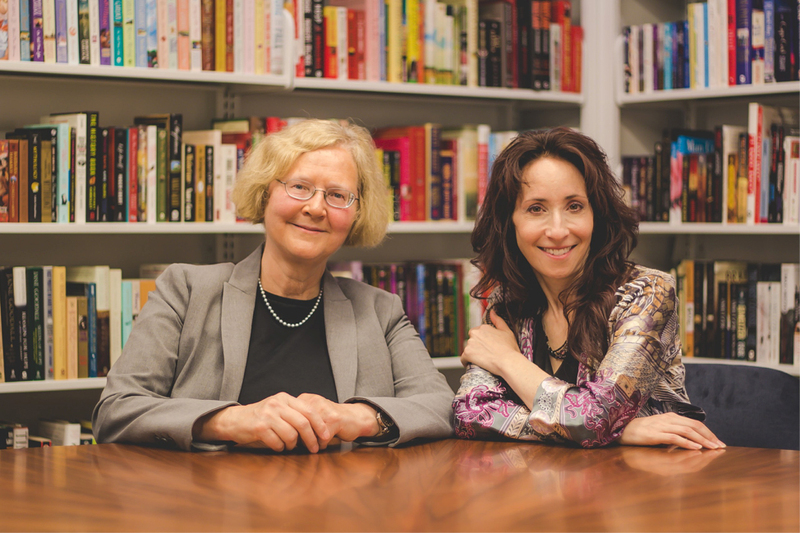 Watch a video on Elissa Epel and Elizabeth Blackburn's research. Make changes to reduce sources of persistent, intense stress. Approach stressful events as challenges rather than threats. Be more compassionate to yourself and to others. Take up activities that make you feel restored. Practice thought awareness and mindfulness. Develop a sleep ritual for better, longer sleep. Eat mindfully to reduce overeating. Disconnect from screens for part of the day. Promote connections within your neighborhood. Protect children from violence and other traumas. Make fresh, healthy, affordable food available to everyone.